Please make sure Windows Defender definition is up-to-date if you use it to scan and detect spyware or unwanted software on your computer. 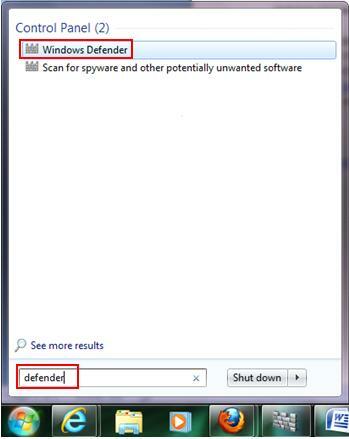 Window Defender without up-to-date or latest definition will not be able to detect latest spyware and protect your computer adequately. If you are new to this free antispyware program, check out this Windows Defender article to know more on how to use it. It's pretty easy! 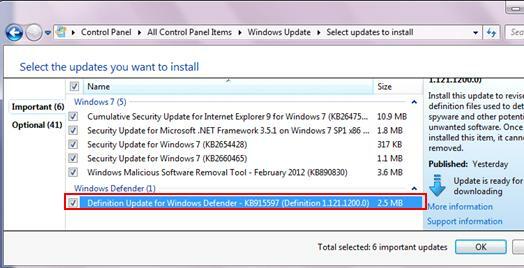 The definition update of Windows Defender is usually done by using Windows Updates with install updates automatically option as shown below. New definition will always be downloaded and installed automatically on your computer whenever it’s available. 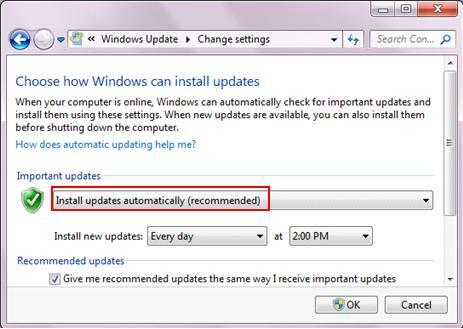 If you have enabled windows update with option: download update and let me choose when to install them, new definition will be downloaded for you whenever it is available and let you to install later. 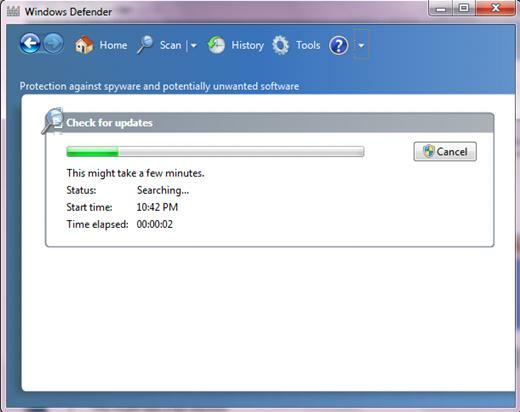 1) Go to Start and type defender as shown below, proceed to click on Windows Defender. 2) The antispyware program will appear, click on drop down arrow as shown below and click Check for updates. 3) It will then check for updates. If there is new definition update, the definition will be downloaded and installed. 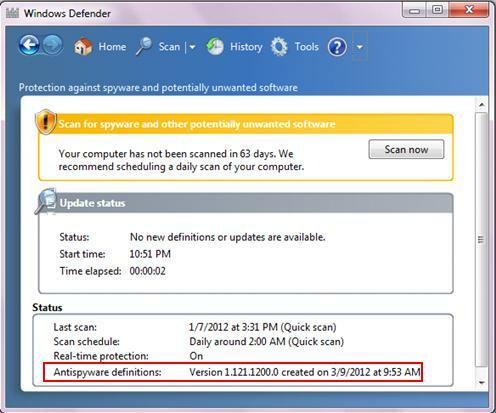 4) You can always find version of antispyware definition on Windows Defender main page as shown here. If there is problem for you to update Windows Defender with latest antispyware definition by using Windows Update or Windows Defender directly, you can go to this link to download and install it. Return to top of "Windows Defender Definition Update How-To"! !